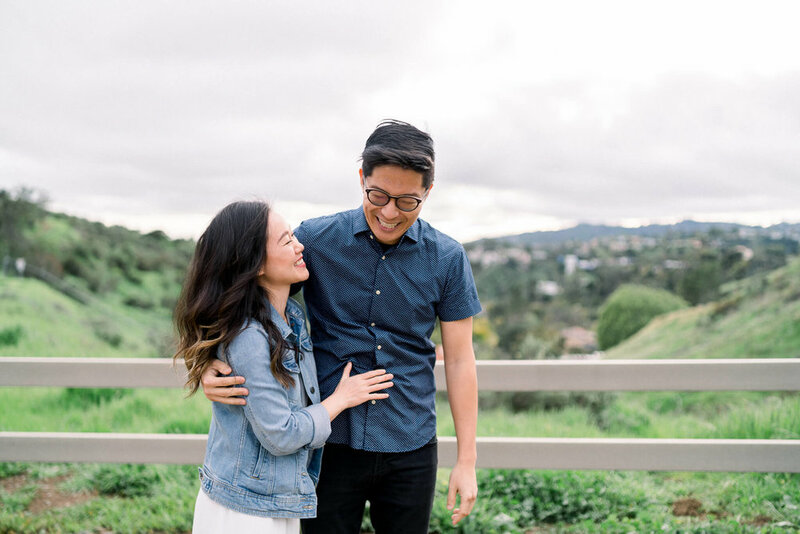 Jen and Jiyong got engaged in the rain, and we scheduled a day to do engagement portraits during golden hour. Well, the forecast was against us once again, and we called it off. Then on the day we had scheduled, the sun miraculously came out, and we made the quick decision to just go do it! We chose Griffith Park as it’s near where we both live. The rain has made the area SO GREEN! And although it was still overcast and we only got approximately one minute of that golden hour light, these two are the real stars of the show. If you haven’t seen Jen and Jiyong’s proposal, check it out here!